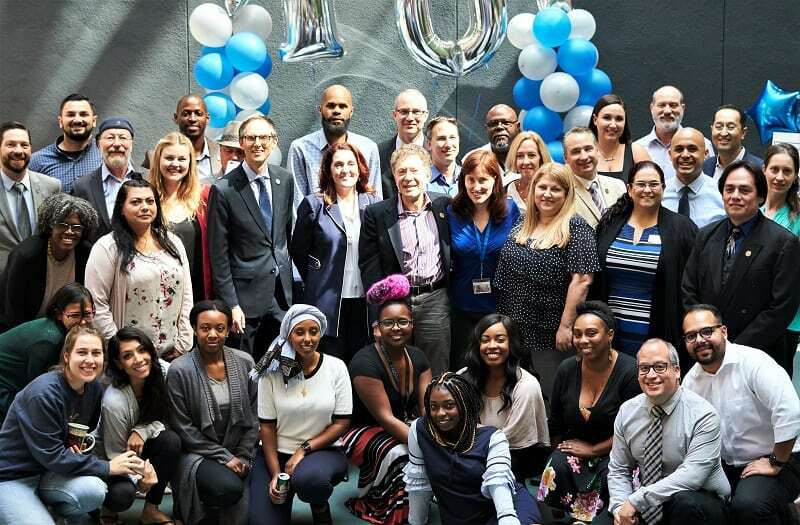 TCSPP Los Angeles Campus faculty and staff. The Los Angeles Campus of The Chicago School of Professional Psychology has evolved as a hub of academic excellence in psychology, in parallel with the downtown district’s phenomenal growth. Located in the historic “617 building” on 7th Street, the university is looking forward to celebrating its 10th anniversary this fall. 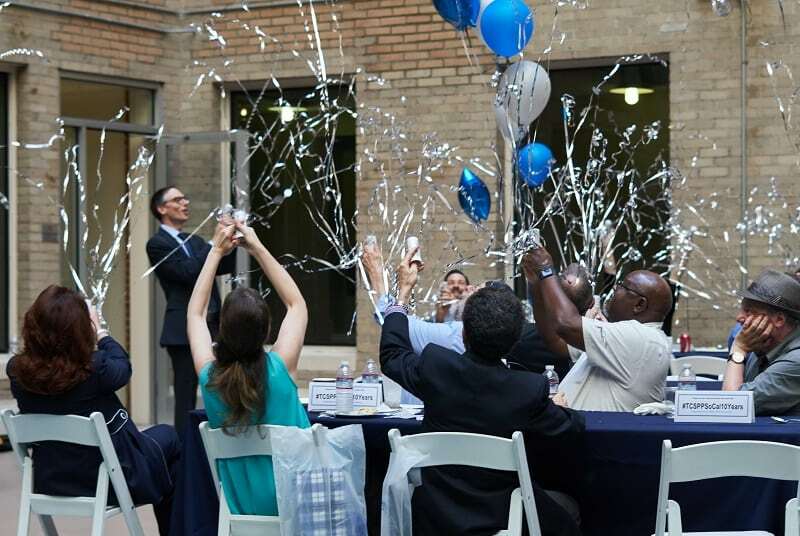 Its commitment to the district has been further cemented for another 10 years with a planned move next spring just one block away to the Aon Center at 707 Wilshire Boulevard. This remarkable 20-year pledge reflects the wide support the school has received from local business and community leaders, and many are sites used by students for training, internships and volunteer activities. The Chicago School’s community outreach includes a close partnership with the Midnight Mission homeless shelter in downtown’s Skid Row where intern students can work directly with clients. Students also have an opportunity to assist the homeless through the office of Community Partnerships, which is one of the ways the university ensures students connect to the community.